More people having trouble with the new HSPU standards. Jacob Heppner has lost his place in Regionals due to the new standards. 18.4 Open workout was harder for some people while easy for others. 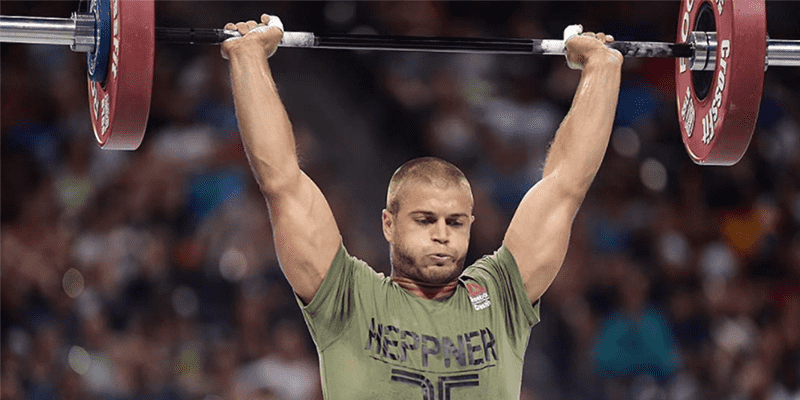 Not everyone has the same proportioned arms or limbs and that really affects athletes like Heppner, that is usually really good at HSPU as well as other upside down movements. “Really not sure how to start this off. So I guess I’ll start by hooking you with the statement “I will not be qualifying to regionals.” Now read below for the explanation. My 18.4 score was 104 reps. Most of you know that I love HSPU, HS Walking, and pretty much anything inverted. If these movements existed in a Regionals or Games workout then I usually came out top 5. Unfortunately a problem arose from the new standard, height + 1/2 forearm length. Now for all you folks claiming “If an athlete doesn’t like the new standard then they need to fix their body positioning and get better upside down” this is where you realize that isn’t always true. Let’s admit we’ve all at least seen that one person who really struggled to hit the standard and it wasn’t because they had bad positioning, but instead was due to their anatomy. The issue lies in the forearm length measurement. Instead of taking the whole arm length, which I admit would be difficult, only the forearm was measured. This creates the possibility that certain athletes, like myself, could be a statistical outlier in our ration of forearm length comparative to bicep/total arm length. Meaning having really long forearms when compared to overall arm length. I would be lying if I told you the thought didn’t cross my mind of shorting a few measurements, bending my knees when measuring my height, or cutting a few 1/8’s off my elbow measurement. But when it’s all said and done I just wouldn’t be able to live knowing I cheated someone else out, regardless if I agree with the new standard or not. Crossfit isn’t life and I’d rather be known as a man of integrity than a great athlete.